It's been a long time since I've had an update on my makeup and I was really looking forward to learning and getting with the program to bring me into this century's look. I have to admit, for me, going to a makeup bar is like discovering another planet and I was looking forward to someone teaching me hands-on, without having to read instructions. That's what workshops are all about right? I'm clueless about what's out there in makeup, and I'm too time poor to read the minuscule instructions and details on the equally tiny bottles of lotions and potions. Grabbing the familiar, like a lipstick, eyeshadow and mascara is about all I'm up for. Excited to attend my very first makeup workshop, I rocked up at The National Academy of Beauty which is conveniently located in the City on level 13, 14 & 15 (our workshop was on level 14) at 276 Flinders Street, Melbourne and easy to get to via public transport. Just past the DeGraves street restaurant and cafe strip, it's a short walk from Flinders Street train station. The Academy itself (the 14th floor we were on) was impressive and the reception area and workshop space well laid out. It was spacious and professional looking with lots of seating to accomodate a crowd. 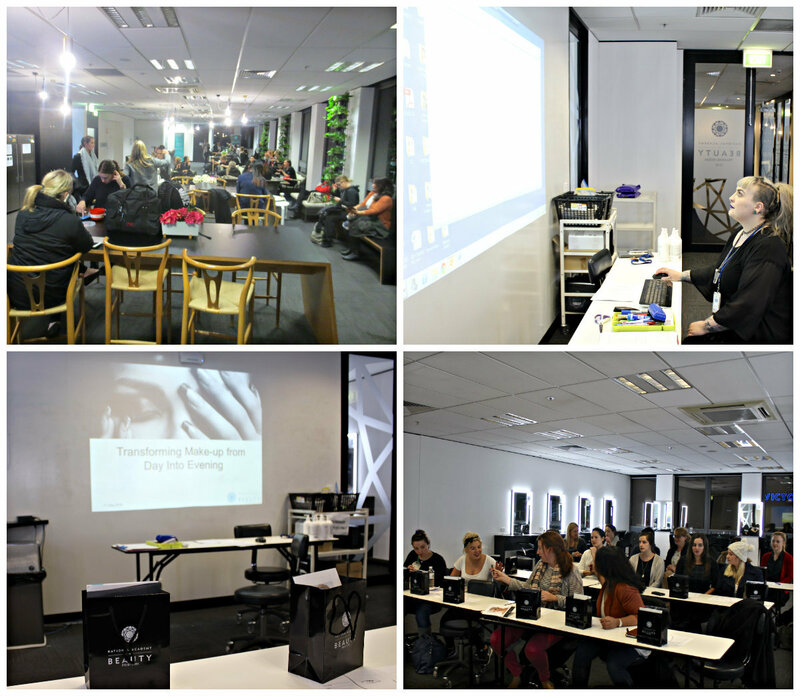 The workshop was set up classroom style and facing a projection screen. On our desk was a sheet of paper with a face drawn on it for us to take notes or note down colours if we wanted. 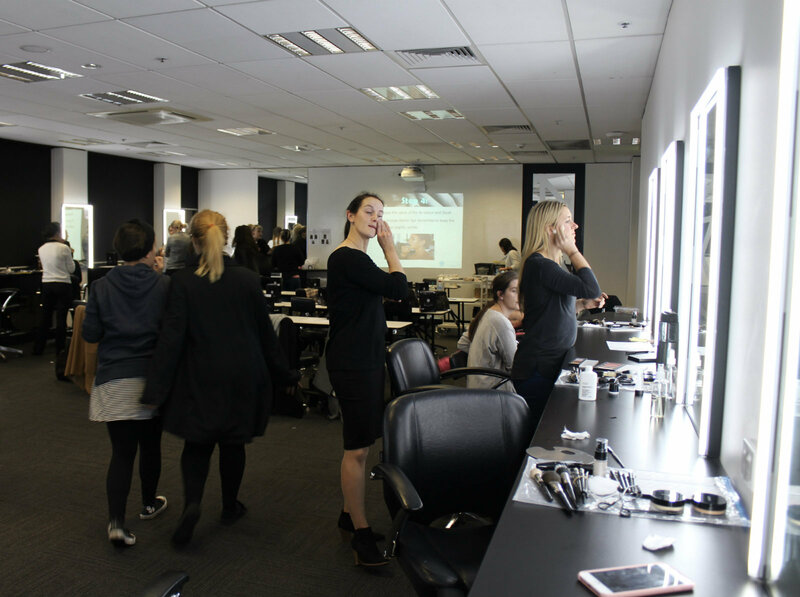 Along the sides and the back of the room were well lit makeup stations for practicing what we had learnt after the demonstration. There was also a little gift for every participant, which was exciting. Who doesn't love a pressie! Inside there was a neutral palette of eyeshadow that can be put to good use, a matchbox size packet of nail files, plus a few little pamphlets with details of other courses. Sammy greeted us and introduced us to the model of the night who happened to be a beauty therapist herself. 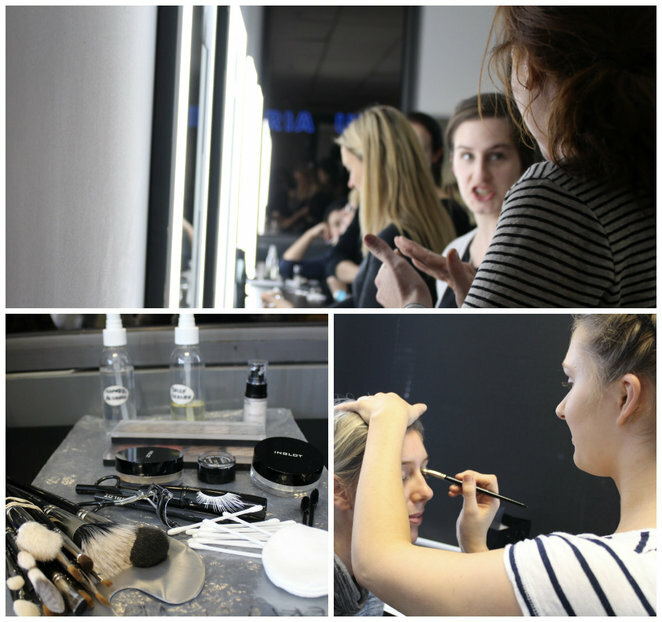 Of the three hours of the course, the first hour and a half or so was spent looking at the instructions on the screen for a few minutes and watching the cleansing and applying of makeup, and transformation of the model from a day to night look with a few strokes of the makeup brush. The transformation was subtle, however, it's still up to the individual as to how dark or wild they want to get with their own night look. At the end of the demonstration, those who brought friends paired off and headed for the makeup station to practice on each other. 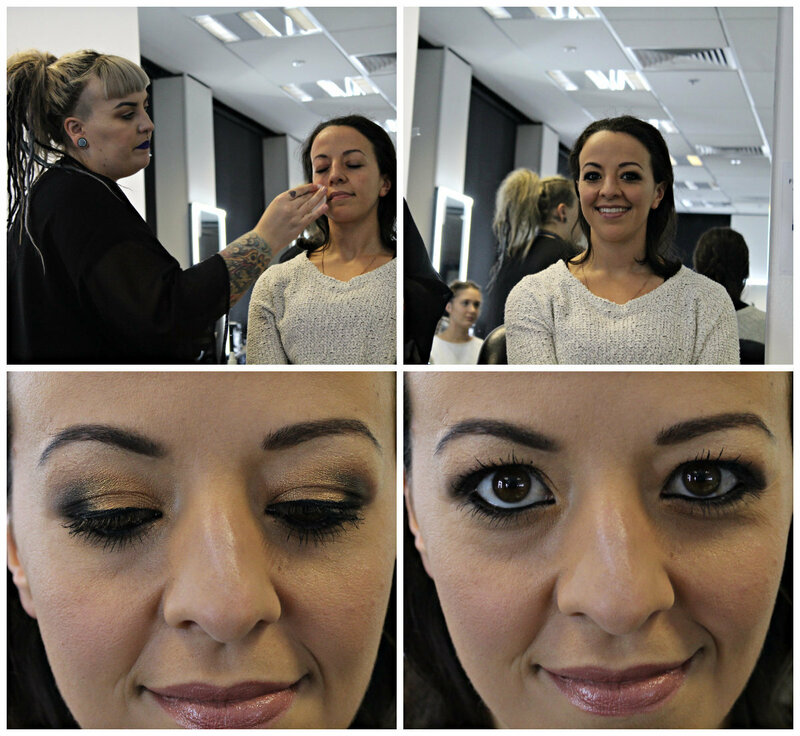 We were supplied with a variety of makeup brushes and some Inglot Cosmetics eyeshadow and blushes. For the required moisturisers, primers, foundation, lipsticks and so on, we loaded up our little metal palettes from a communal table with an array of colours to suit our individual shades. This was the fun part of the night where everyone got to practice and play wth makeup, and it was a relief to stand up and be interactive. 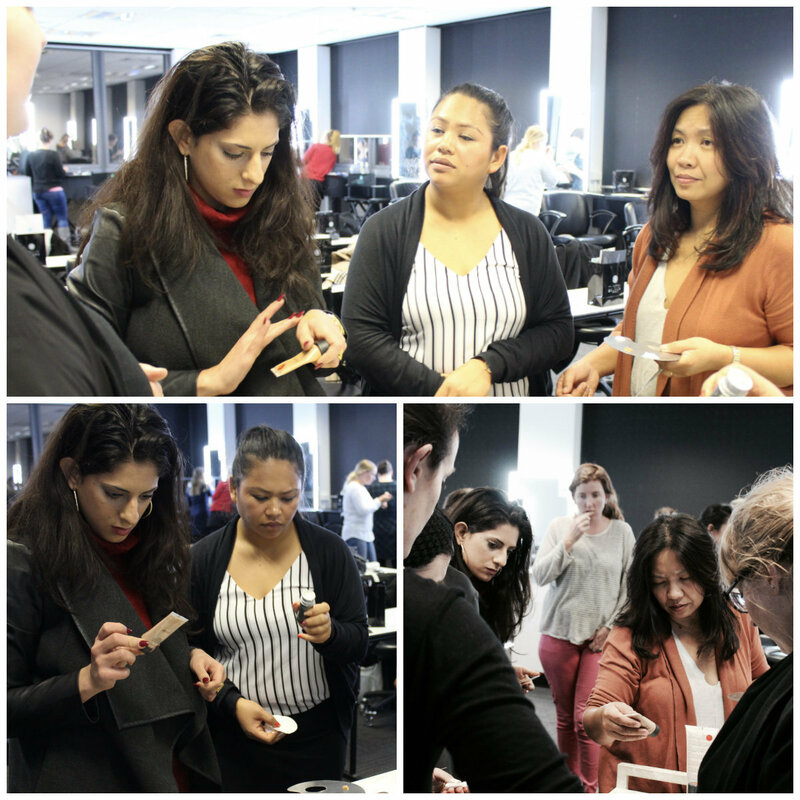 I had mistakenly thought that the workshop was going to be hands-on from the get-go, working along with the instructor, step-by-step. Perhaps I was just hoping, as let's face it, that would have been more fun. Being read out instructions I could easily read myself off the projection screen was a tad less fun. I would have preferred to hear the narration directly from the instructor as the screen played in the background for us to follow. Her pearls of wisdom and know-how directly from her lips would have been far more inclusive and interesting for this particular segment of the workshop. 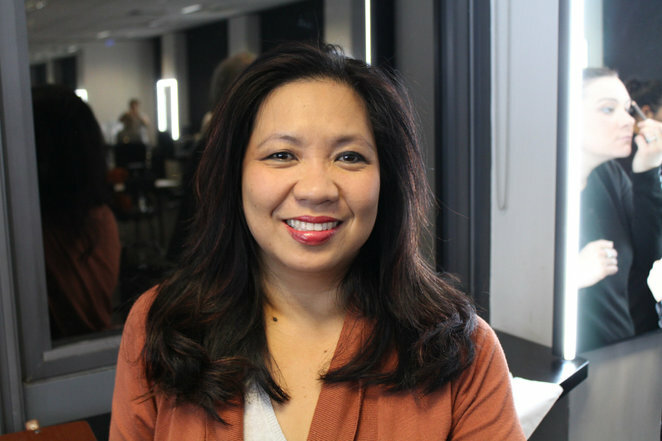 I threw a few questions about makeup styles for the more mature woman like me as we observed the model being made up for over an hour. Perhaps that should be a consideration to cover the gamut of participants attending the course. 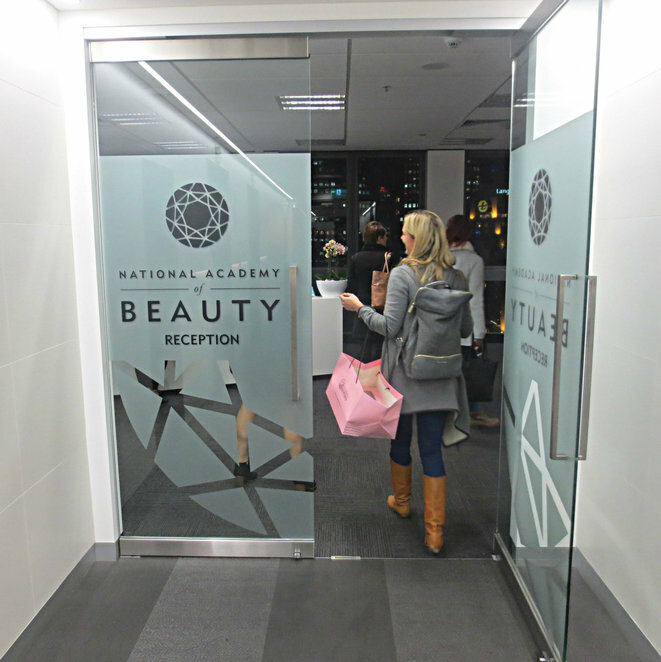 I did a bit of homework before attending, by reading all I could find on the website and Facebook page, and watched a few videos of National Academy of Beauty's Creative Ambassador and world-renowned makeup artist Rae Morris. I noted that there were variations of techniques between the video (see below) and the workshop as to how blush is applied. To smile or not to smile when applying blush; that is the question. In summary, this workshop has the ability to be fun and amazing with a few tweaks and some borrowed glitz, glamour and magic in the air as is on their Facebook page and website.